It wouldn't be New Year if we didn't celebrate as a family with a New Years Day roast, and being in the van certainly wont stop us. This year it is leg of lamb stuffed with anchovy, garlic and rosemary butter, topped with more anchovies and rosemary and roasted on a trivet of leeks, onion, carrots and whole garlic cloves. Served with goose fat roast potatoes, sautéed sprouts-shallots-bacon, roast carrots, leeks in cheese sauce, and parsnip and sweet potato purée. 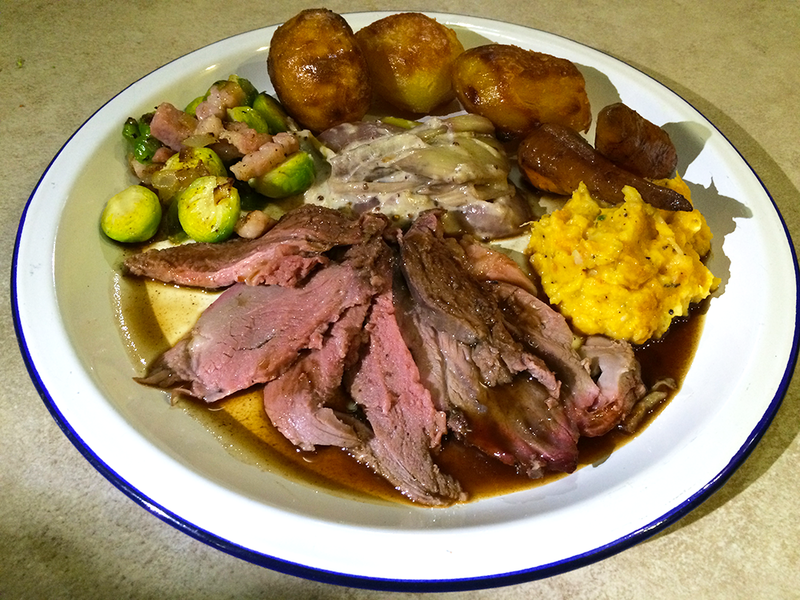 A full roast in a caravan or motorhome might seem daunting but so long as you tackle it methodically it is straight forward and enjoyable to do. After all what's the rush?! its New Years Day so have a glass of wine and take your time. 1. Crush or dice 1 peeled garlic clove and purée on a chopping board with some salt. Simply sprinkle the garlic with salt and scrape away at it with the back of a fork until it is paste. 2. Chop up half a tin of anchovies and add to the garlic paste. 3. Finely chop a sprig of rosemary and add to the paste. 4. Mix the whole lot with about 1/4 of a block of room temperature butter. Place back in the fridge to harden a bit. 5. Slice the leeks and onion to be used as a trivet and place in the roasting tin. Add the carrots, some whole unpeeled cloves of garlic and a teaspoon of caraway seeds, drizzle with oil and make sure they're all coated. Pour over a glass of red wine. 6. Make incisions into the lamb a regular intervals with a thin knife and stuff those incisions with the butter made earlier. 7. Rub a bit of oil (I used the anchovy oil) into the lamb and season with salt and pepper then top with some whole anchovies and rosemary sprigs. Cover with foil then place into the oven on gas mark 4 for about 1.5 hours (remove the foil for the last 30 minutes) or until the internal temperature reaches your liking, we like ours at 55C. 8. While the lamb is cooking peel and boil the potatoes. You want to boil them almost to the point of destruction then gently tip them out and allow them to cool. 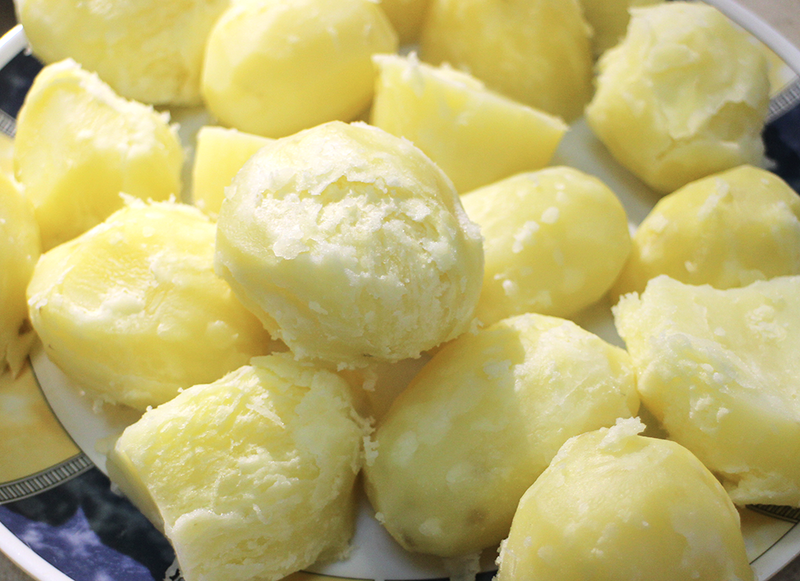 Cool potatoes will keep their shape better when added to hot fat. Now is also a good time to prepare your sprouts, bacon and shallots ready for cooking later. 9. Using the spud pan now bring to a boil your peeled and chopped parsnips and sweet potatoes and simmer until soft. 10. 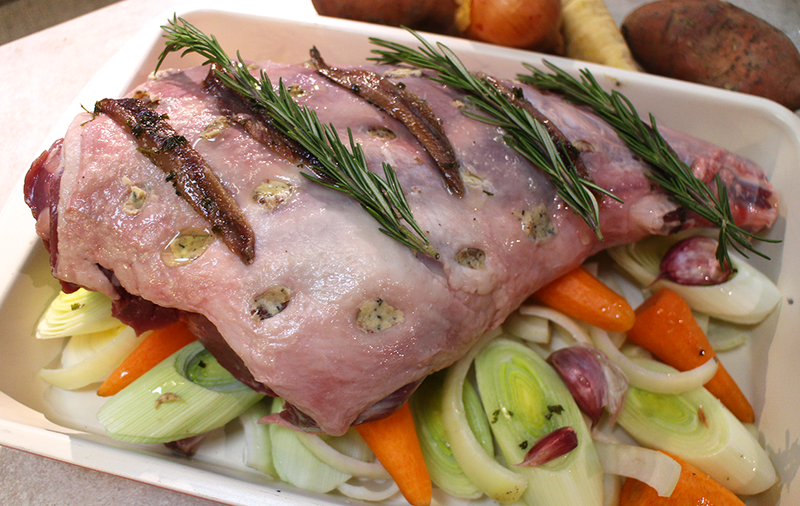 When the lamb is done remove from the oven, cover with foil and some clean tea towels and set aside. 11. Turn the oven up to full and place a baking tray with goose fat on the top shelf to heat up. When the fat is sizzling hot add the roast potatoes, make sure they are covered in fat then season with salt and whack them back on the top shelf. Baste every 10 minutes or so, they will only take about half an hour in that heat but should be lovely and crunchy with super soft insides. 12. Now lets get going on the gravy. Pour the meat juices into a pan (leave the lamb and veg still covered with foil and towels, it will still be hot don't worry). Add half a bottle of wine, a stock cube and a teaspoon of mustard, bring to a boil then simmer to reduce. 13. Drain and mash the sweet potatoes and parsnips. You should be able to purée them with a fork. Add a good knob of butter, a dollop of cream, season. Put the pan lid back on, it will stay warm for ages. 14. 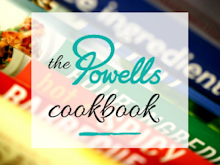 In a wok or frying pan gently sauté the sprouts, bacon and shallots. They are done when the bacon is getting crispy and the sprouts turn a golden colour. 15. Pick the garlic cloves from the roasting pan and squeeze the soft sweet pulp into the gravy and whisk through. If the gravy needs thickening with a spot of cornflour and water mixed together do this now. Season to taste. 16. In a small pan heat up half a pot of cream and add a big handful of grated cheese. Pick the leeks and onions out from the roasting tray and add to the pan. I think this would be nice with blue cheese too but I didnt have any at the time. 17. Everything should be done now so turn off the heat and plate up!